Sewing by hand is a handy skill to have. But in order to perfect your hand-sewing skills, you must dedicate yourself to years of trial and error. If you are just starting out, one of the first steps is choosing the right sewing needle for the job. Since needles are used to pull thread through fabric with the goal of joining fabrics together, hand sewing needles need to be thin enough and sharp enough to penetrate numerous types of materials. The needles that you will need for your hand-sewn project will depend on various factors, including the material being stitched, the type of sewing you need to do, the function it will serve, and much more. Continue reading to learn all about hand sewing needles, and where to find the best selection for purchase. Hand sewing needles come in an endless selection of sizes and points. Size refers to the length and width of a needle, and point refers to the sharpness of its tip. They also come with various sized holes at the opposite end of the point, where the thread is tied through. The most common type of hand-sewing needle is called a “sharp.” They are medium in length when compared to standard needles, and retain a rounded hole for threading. These features make it perfect for virtually any type of fabric, which is why they are so popular. When a straight needle will simply not fit, you can use a specialty needle instead. Specialty needles, like circle needles, are highly effective for hand-sewing upholstery and other curved fabric garments. Keep in mind that thinner needles are best for thinner materials and fabrics, whereas, thicker needles are necessary for tougher, courser materials, like denim, leather, and canvas. Using this rule will help you gauge which size needle you need. Hand sewing needles are very affordable too! You can buy them for cents on the dollar at any local fabrics store, crafts store, or any store with a sewing section. You can purchase a pack of 100 needles for under $5! However, be sure to invest in high-quality needles when you are sewing higher-quality or expensive fabrics. Or you can just choose professional alteration services instead! Call Yong’s Alterations at 317-845-9077 for professional sewing and alteration services in Indianapolis, Indiana. We are highly-skilled and experienced tailors that provide a wide range of alterations for men, women, children, home décor, and more! Check out our customer reviews to get a better perspective of our reputation. We value quality and customer satisfaction above all else. Call 317-845-9077 for a free estimate or to schedule an appointment, today. 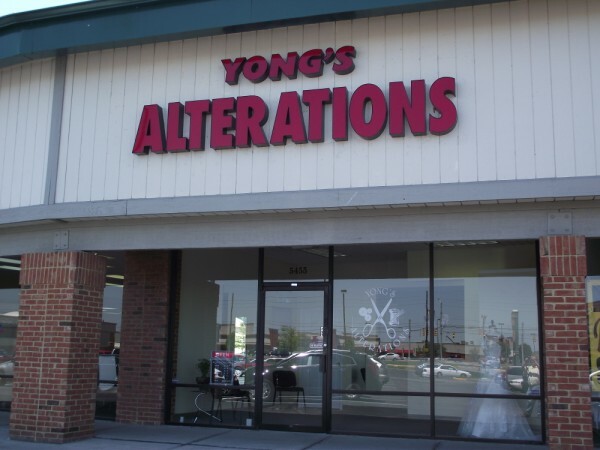 This entry was posted in Sewing and tagged alteration services Indianapolis, alterations Indianapolis, bridal wear tailoring, hand sewing needles, hand sewing tips, Indianapolis tailor, sewing by hand, sewing needles, sewing tips. Bookmark the permalink.